Canonized 16 May 1920. 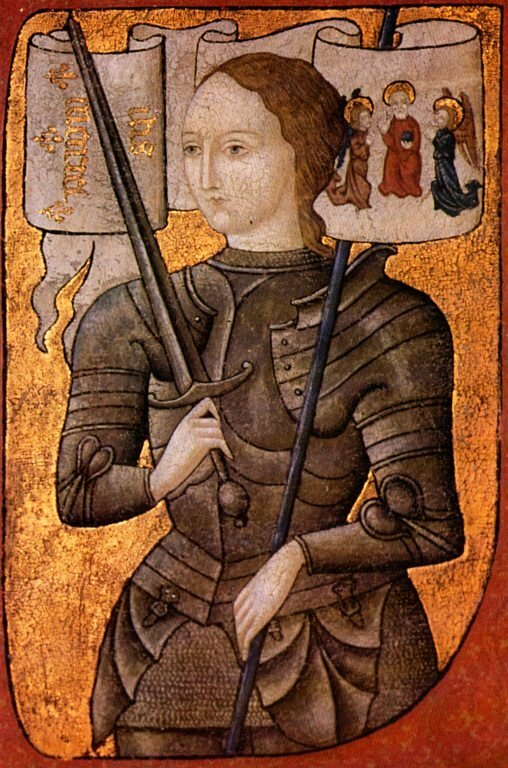 Joan of Arc was a peasant girl who believed she was under a divine mission to save France. In 1429, she persuaded Charles VII to let her lead a force to relieve Orleans. She led the French forces to a decisive victory at Orleans which allowed France to finally gain permanent advantage over the English. She was captured in 1430 by the Burgundians at Compiegne; Charles VII did not attempt to ransom her. She was burned at the stake by the English as a heretic in Rouen on May 30, 1431. She was about 19 years old.